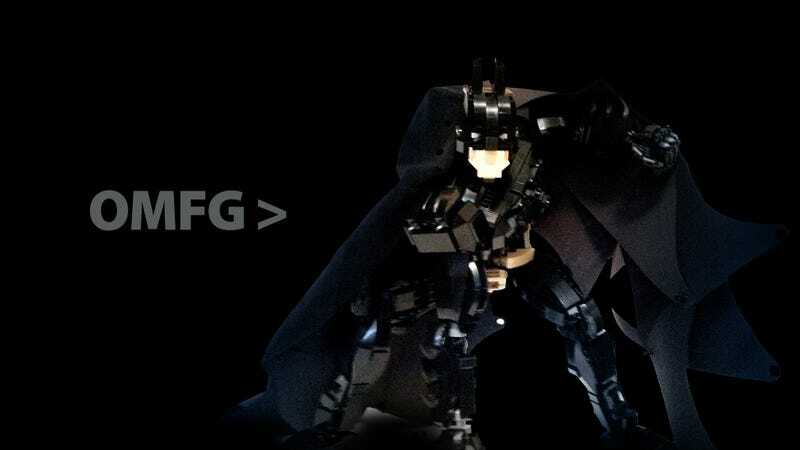 OK people, here's the plan: get Lego builder mmccooey and beat the crap out of him until he gives us the precise instructions to build his amazing and fully posable Batman action figure made out of Lego. Or just ask him nicely. It can go either way.